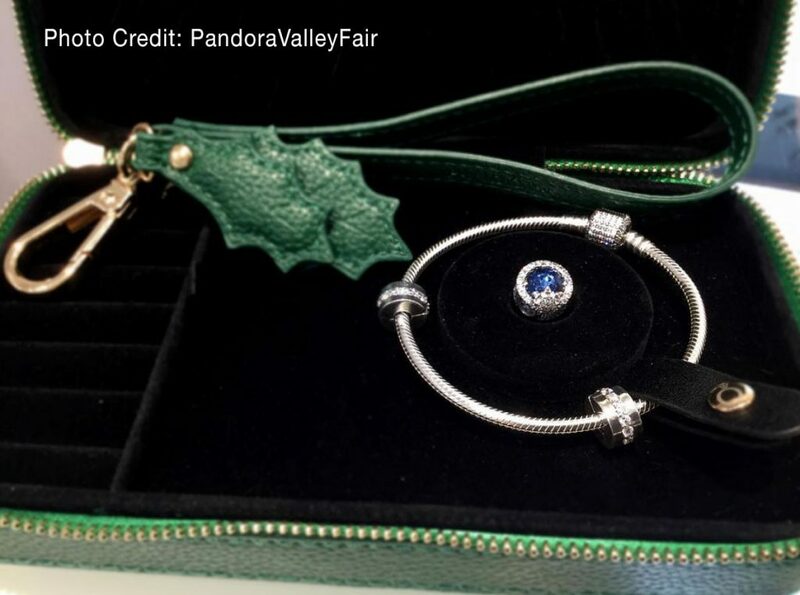 PANDORA is offering some delightful gift set options this Winter. The Gift Sets are presented in limited edition presentation boxes or include a free dark green leatherette jewellery travel case. 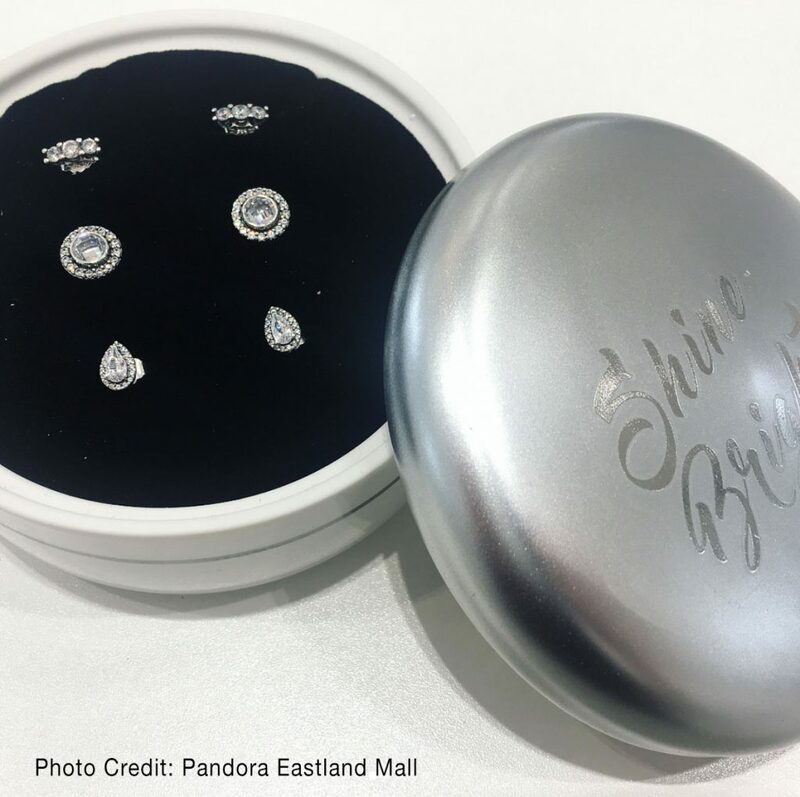 The Earring Gift Sets include the sweet Shine Bright case. 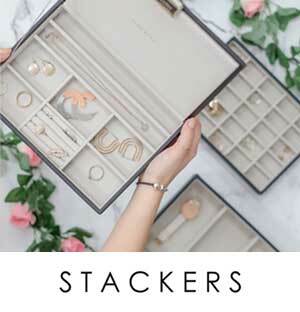 This is a great personalised 8 piece set. The PANDORA Bangle is engraved with ‘love you forever’ and you can choose 2 x Vintage Silver Letter Charms (791847CZ) plus the set includes one pair of earrings, 2 clips, and the ‘You and Me Forever’ Dangle charm (791979cz). I’m not sure whether the earrings and clips are the customers own choice or the ones pictured: Radiant Elegance Earrings (250325CZ) and Shining Elegance Clips (791817CZ). 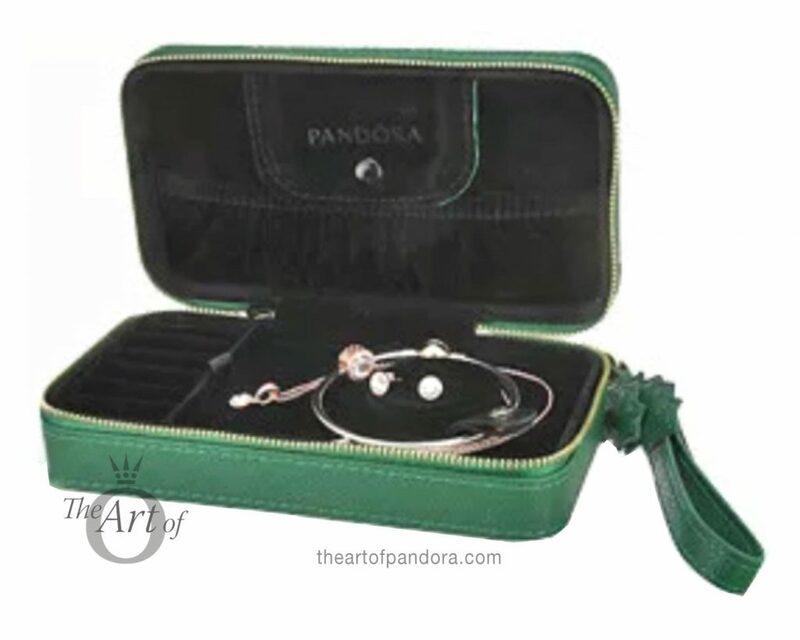 The set is presented in a FREE jewellery case and is available for $299 USD from our preferred PANDORA retailer BeCharming.com. This is a fantastic saving as the retail value is $415 USD! 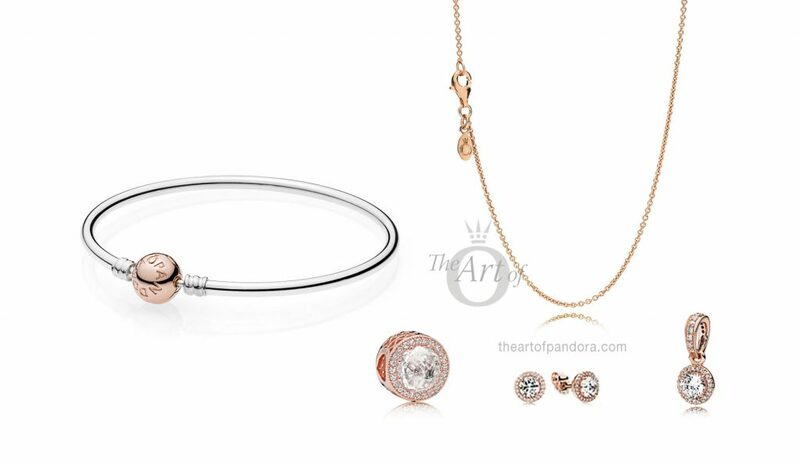 This 6 piece set includes the PANDORA Rose Clasp Bangle (580702), the PANDORA Rose Radiant Hearts Clear CZ (781725CZ) charm, the PANDORA Rose Classic Elegance Pendant (380379cz) with a PANDORA Rose chain (580412-90) plus PANDORA Rose Classic Elegance Earrings which are new for Winter 2017! 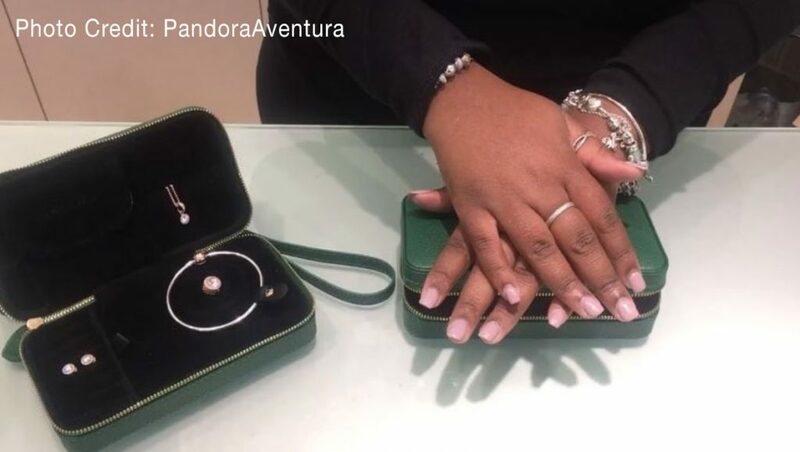 The PANDORA Rose set is presented in a FREE jewellery case and is available for $379 USD from our preferred PANDORA retailer BeCharming.com. Once again a great saving as the retail value is $475 USD. 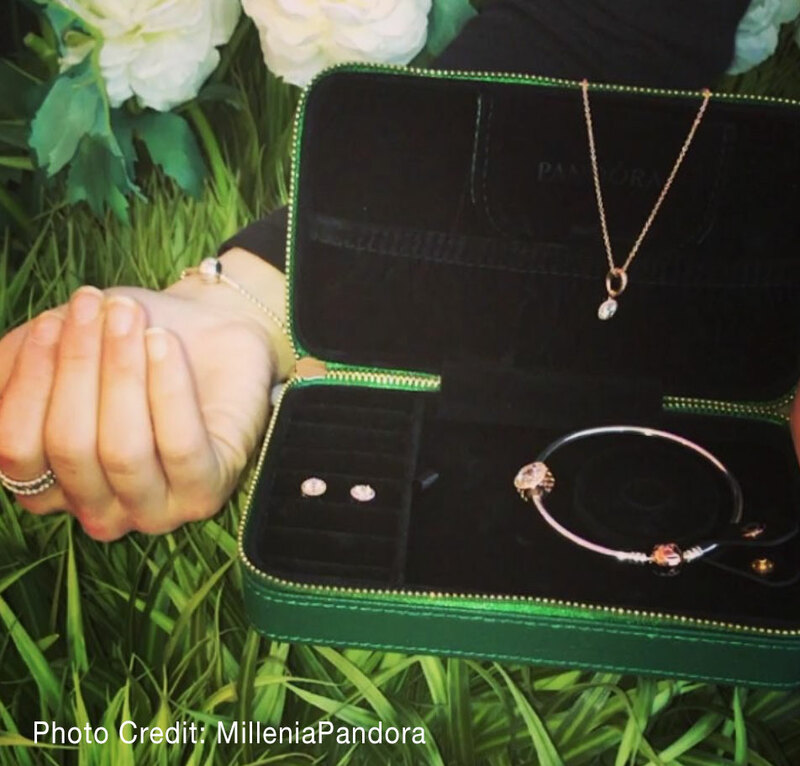 This set would be ideal for someone wanting to start and PANDORA Rose collection. 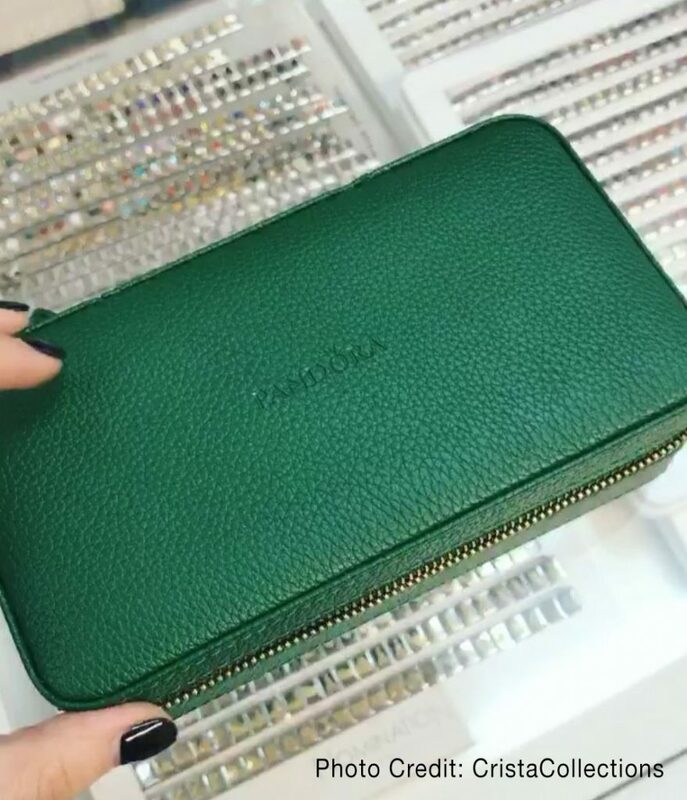 The dark green leatherette travel case has the embossed PANDORA logo on the top and a gold coloured zip which features a charming holly leaf design. 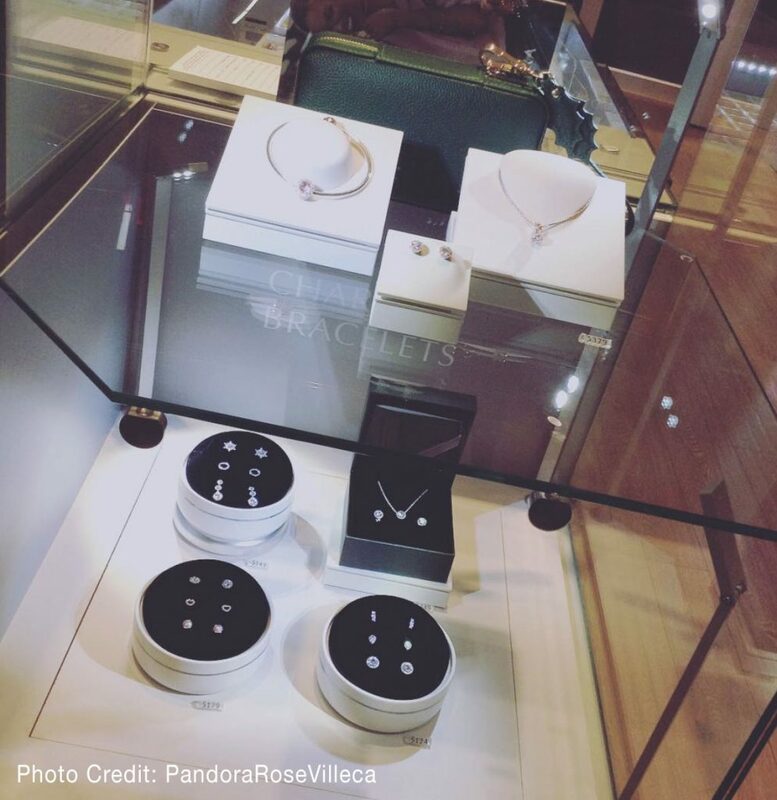 Inside the case there is room to store your PANDORA rings, earrings, necklaces and bracelets. 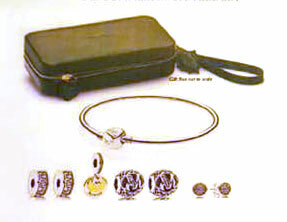 The set comes with 3 pairs of sterling silver earrings with cubic zirconia stones and a beautiful ceramic jewellery box. 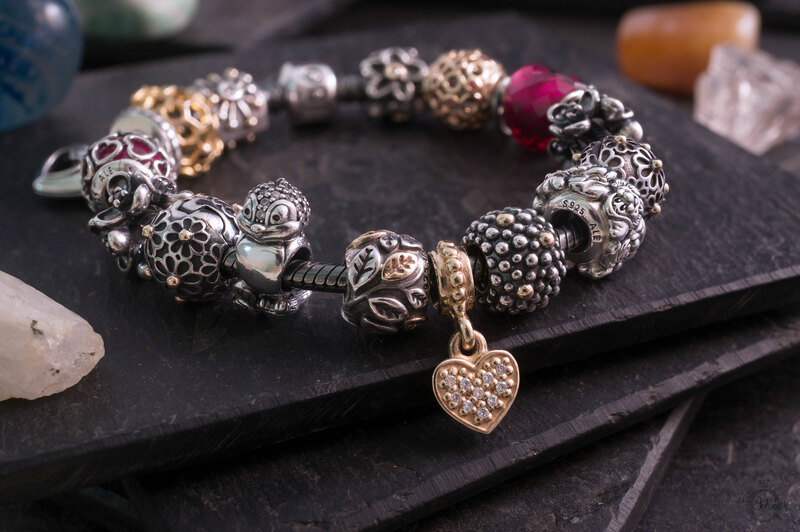 Available for $124 USD from our preferred PANDORA retailer BeCharming.com. 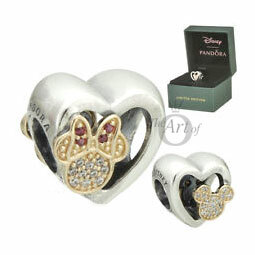 This is a charming set which has a saving of 30% from the retail value of $180 USD. 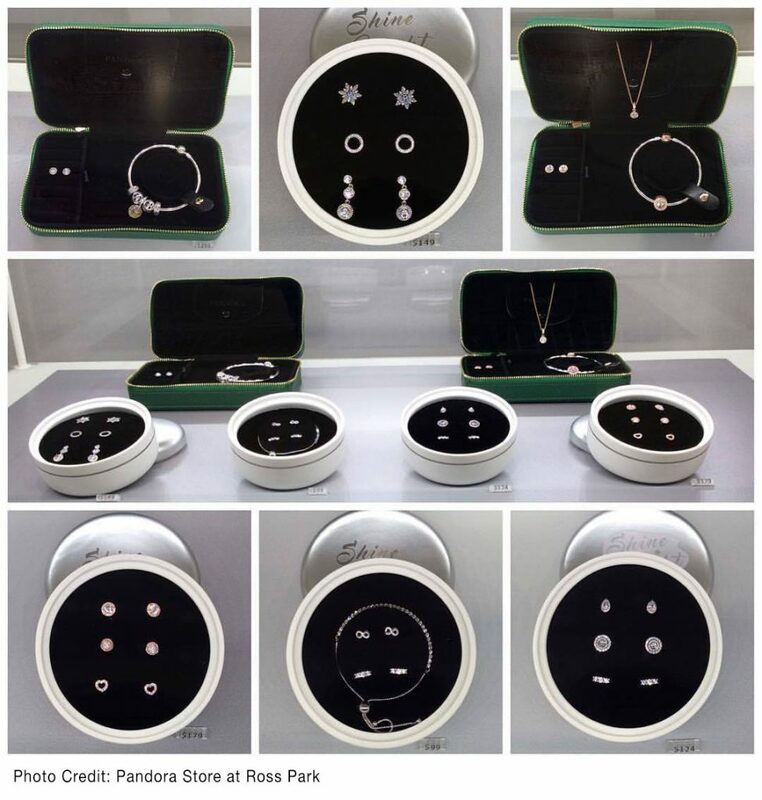 The set comes with 3 pairs of PANDORA Rose earrings with cubic zirconia stones and includes a pretty ceramic jewellery box. 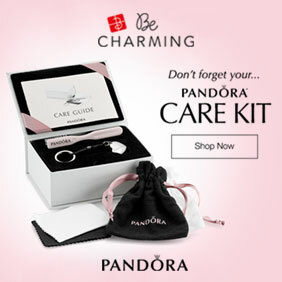 Available for $179 USD from our preferred PANDORA retailer BeCharming.com. Again another great saving as the retail value is $230 USD! There is something for everyone this winter! 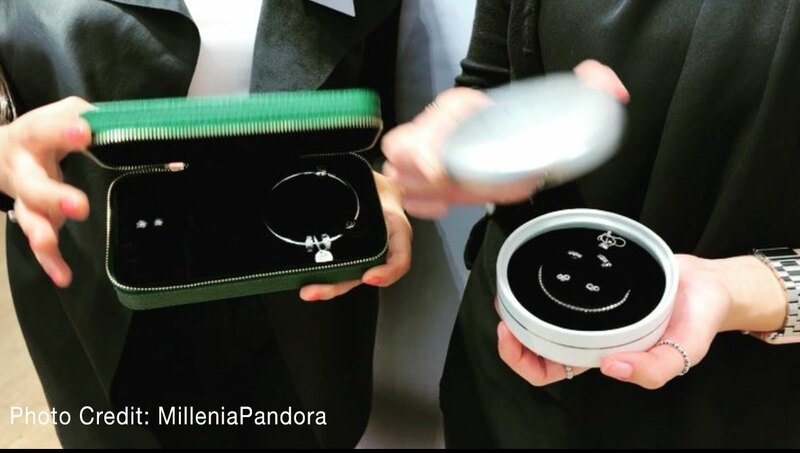 Disney fans will adore the two tone Limited Edition Mickey & Minnie Love Icon charm which is presented in a special PANDORA Disney dark green box and includes a FREE Disney clutch with a choice of two colours. 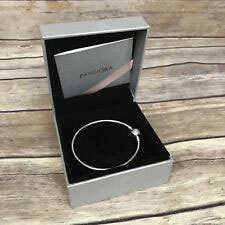 Available for $125 USD from our preferred PANDORA retailer BeCharming.com. 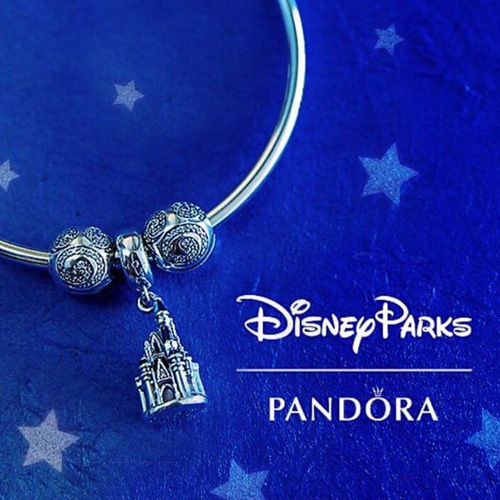 PANDORA Disney fans in the UK and Europe can still take part in the Disney Clutch promotion this month. 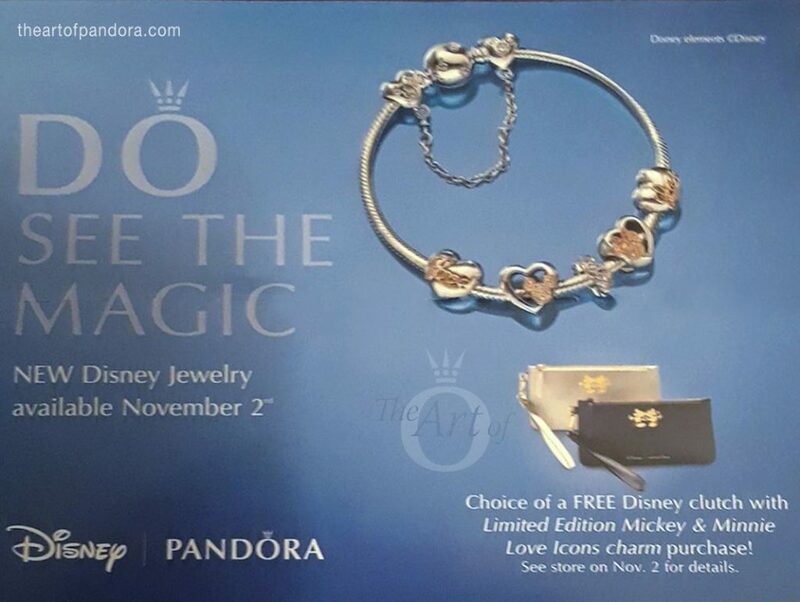 At the PANDORA eStore, Spend £99 / €89 on PANDORA Disney jewellery and receive a FREE Disney clutch bag. 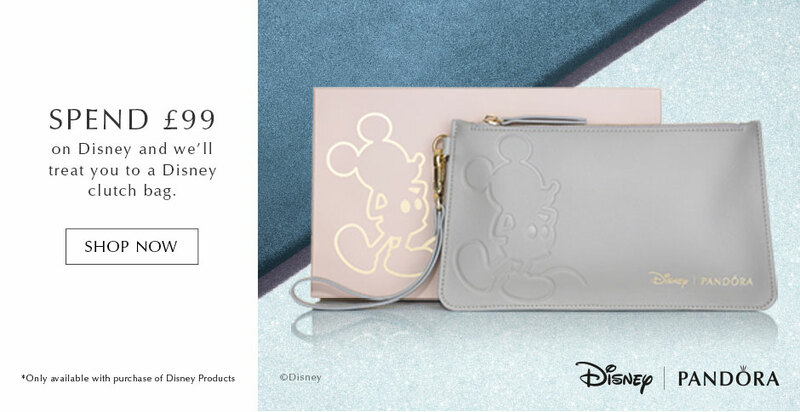 The design is different to the US version and features an embossed Mickey silhouette on grey leatherette. 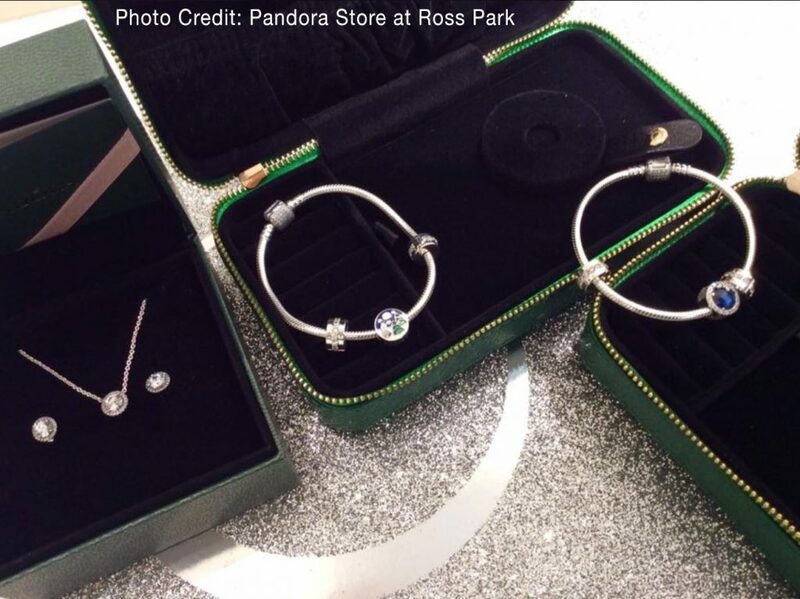 Each year PANDORA release a Limited Edition Bangle which features a different design on the clasp. 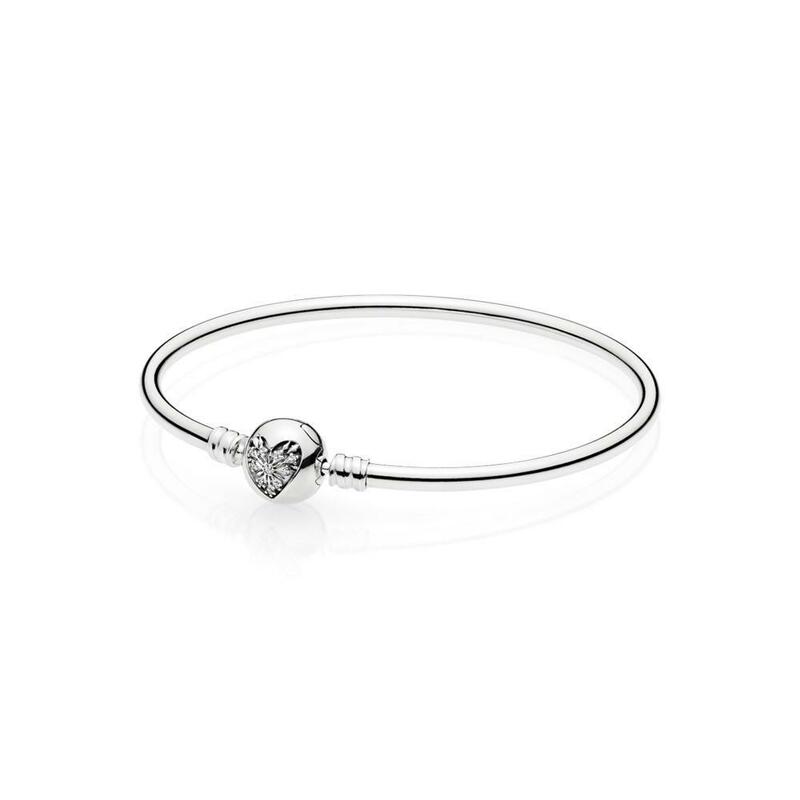 This years design is the gorgeous Heart of Winter Bangle which I love. It is based on the Heart of Winter charm from the 2016 Winter collection and the theme continues with new Heart of Winter necklaces, pendant charms and earrings. 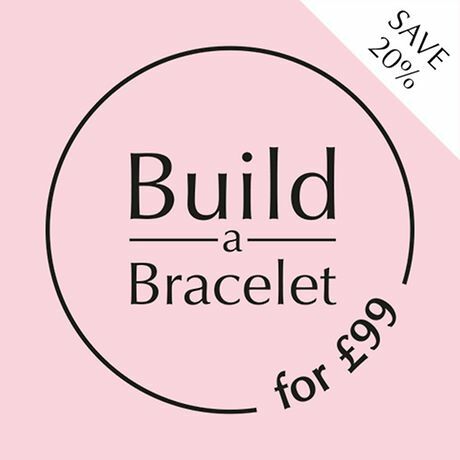 From 23 November to 3 December, PANDORA in the UK will be offering a FREE Limited Edition Heart of Winter Bangle with every purchase made over £125. 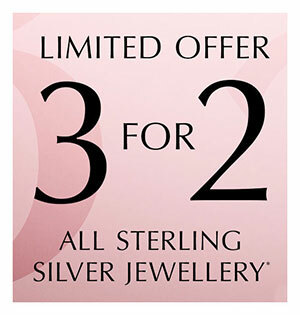 The offer will take place instore and online at the PANDORA eStore. 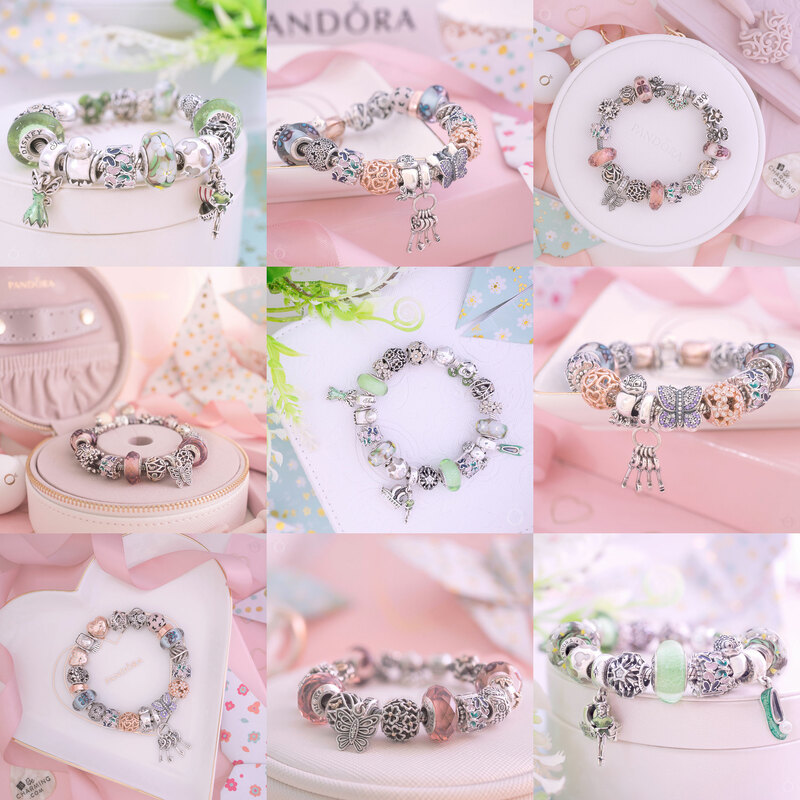 Last year PANDORA offered this promotion in many countries and I presume it will be the same this year and once I know the details I will update this post. The Heart of Winter Bangle will be presented in a special silver gift box. As PANDORA is the Official Jewelry Partner of the Christmas Spectacular Starring the Radio City Rockettes the PANDORA Black Friday 2017 is co-branded! 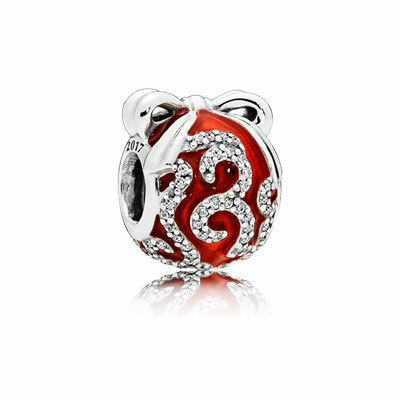 The PANDORA Bright Ornament Black Friday Charm will retail for $75 USD / $85 CAD / €69 and will be available from our preferred PANDORA retailer BeCharming.com. 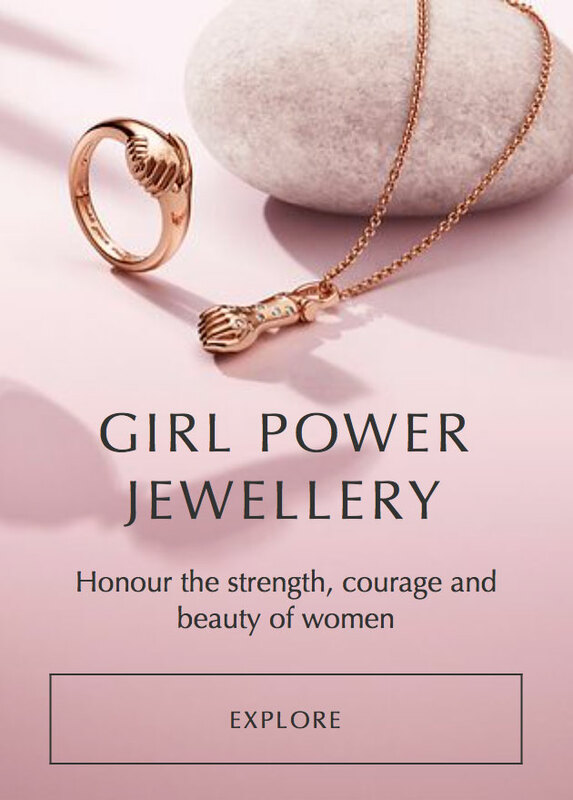 The Rockettes will appear in the new PANDORA holiday ad campaign as well as personal appearances at the JCK Las Vegas show and a PANDORA New York City store. Read more about PANDORA and the Rockettes here in our previous post. 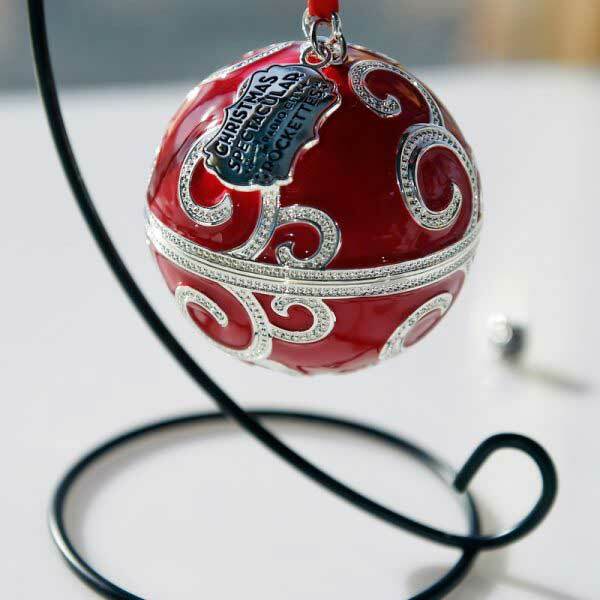 Previously I posted this picture of a PANDORA and Rockettes ornament. As you can see it is the same design as the PANDORA 2017 Black Friday charm but I still don’t have any more information on whether it will be a gift with purchase promotion item for Black Friday. I will try to get some more information so watch this space! 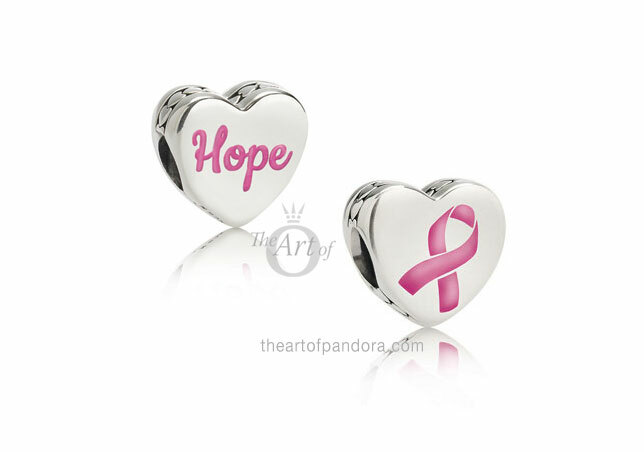 Finally, remember to join PANDORA in supporting breast cancer awareness this October with the new 2017 Breast Cancer charms.The PANDORA Breast Cancer charms will be available from the 1st October until the 31st October 2017. 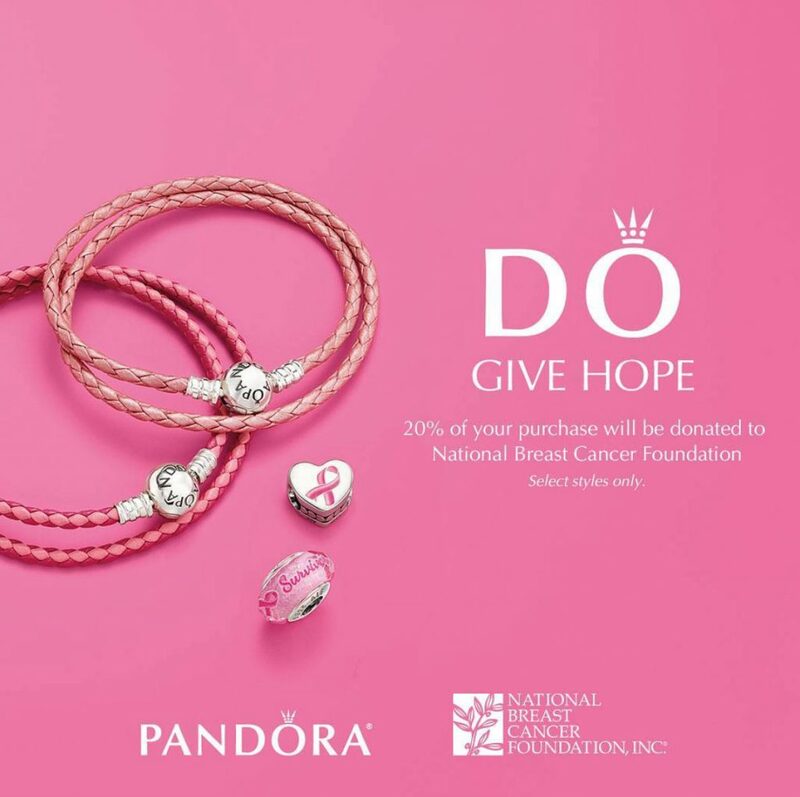 PANDORA will donate 20% of purchase to the National Breast Cancer Foundation. 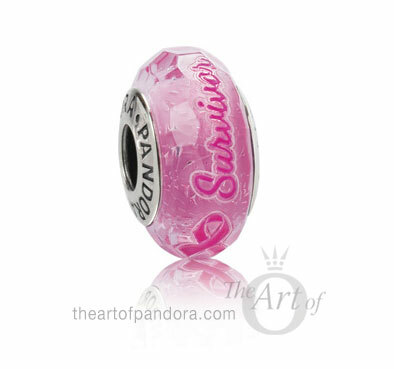 The Limited Edition PANDORA Breast Cancer charms will be available online at our preferred PANDORA retailer BeCharming.com or by phone on (800) 878-7868. Phew! There are lots of exciting gift sets and promotions this winter! What is your favourite? Will you be purchasing any for a friend (you can tell us, we will keep it a surprise!) or yourself? Let us know in the comments below! Thanks for the great sum up of all the sets. Lots to look forward to! Will the breast cancer beads only be available in the US? Beautiful sets! 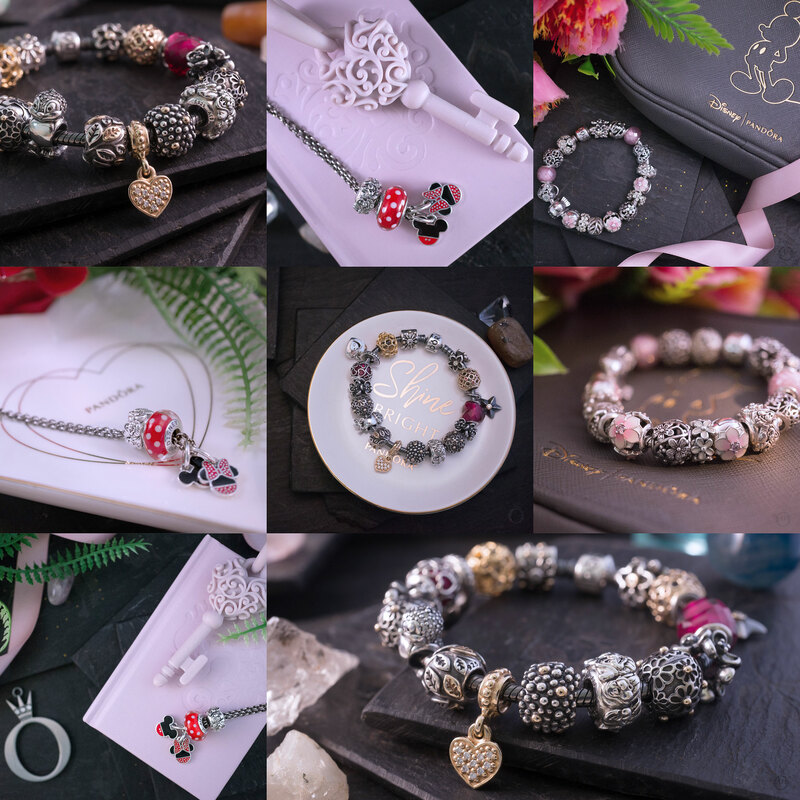 Definitely I’ll go for the Disney limited edition charm and the special clutch, the Black Friday charm it’s a must have and also the bangle. I have to think more about the first set… I need to see it in person because I want to know if I can change the color of the clips or the earrings. I got the hope heart, a friend travel to US and she bought it for me, so next week I’m going to put it in my pink bracelet! Have a nice weekend! It really is hard to keep up! 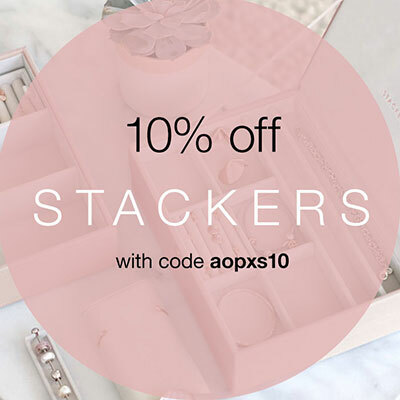 There are some more promotions that I will post about later today, plus pictures of the gift sets! Thank you for commenting and make sure to check back later ?